UNITAR-UNOSAT analysed satellite imagery collected 17 May 2015 by the GeoEye-1 satellite over the area of Ngop village, Unity State, South Sudan. 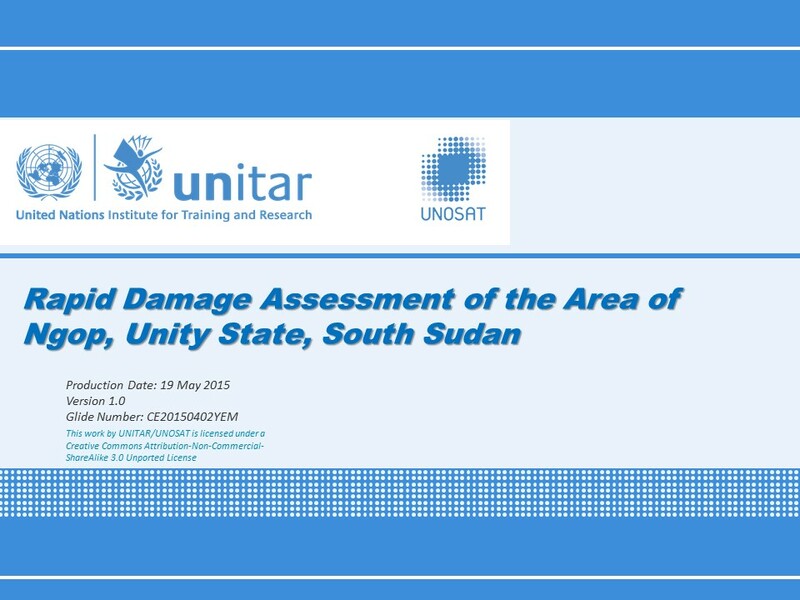 UNITAR-UNOSAT identified visible damage of more than 250 structures in the immediate area of Ngop village. All structures were likely burnt, with clear signs of scorched structural remains and ashes visible. Examples of this are visible in Figures 1 and 2. The full extent of damages around Ngop are visible in Map 1. Cursory examination of the surrounding few kilometers indicates dozens of nearby structures, outside Ngop, were also burned.